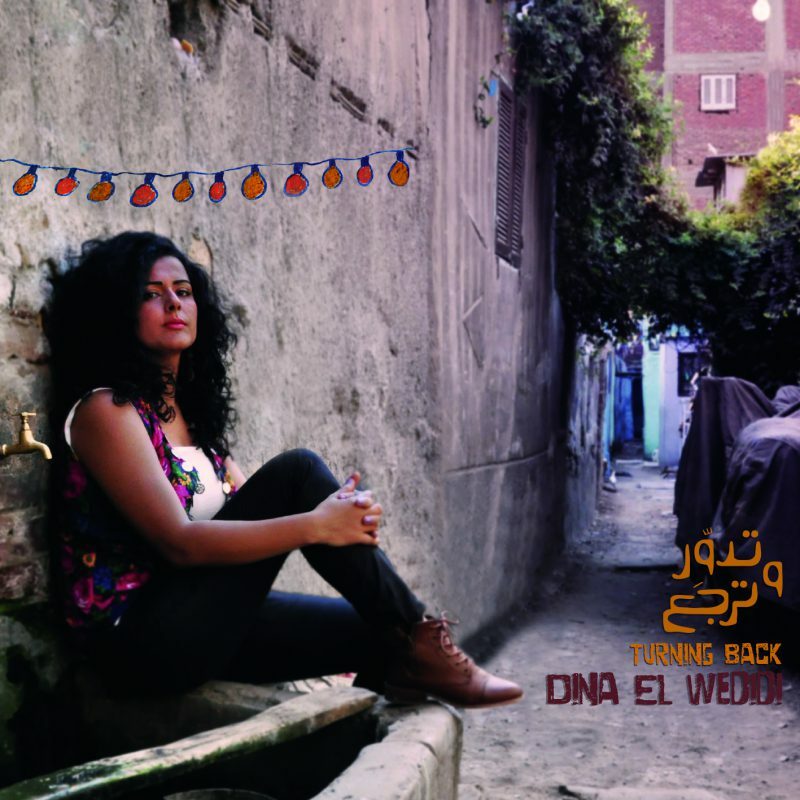 Dina El Wedidi is a name to remember for all those who love world music. She has managed to make her mark as a young Egyptian sing-songwriter who combines fiery contemporary sounds with her roots in Egyptian vocal music. Now she is making her debut on KKV with the album “Turning back”. Dina is a stage artist who masters the art of storytelling and acting as well as music. When “the Arabian spring” erupted in 2011 she had a big hit with one of the songs for the musical “Khalina Nehlam” (Let us dream). In 2012 Dina was selected by Gilberto Gil and “The Rolex Mentor and Protégé Arts Initiative”. Thus she came under the patronage of the world-renowned Brazilian musician and received funding to develop her career. The two of them performed at Back2Black in London in 2012, and later in Switzerland, the USA, Brazil and Egypt. Gilberto Gil is also featured on the new album which is being released this autumn and distributed in the Middle East, Europe, the USA and Latin America. Dina El Wedidi wants to preserve the musical performance traditions of Egyptian women. This ambition has brought her into contact with the Zar group Mazaher, which is also featured on two tracks on her new CD. Zar is an old, ritual form of music which is generally performed by women. Dina has written all the music for “Turning back”. The lyrics, by various contemporary lyricists, deal with the scent of love, the past and the future in a country suffering from tragedies, but where hope can never be crushed. The album is the result of close cooperation with the Egyptian arranger Nancy Mounir and the American producer Miles Jay. The record was recorded in Cairo and the musicians are from Egypt. Among them we find Wael el Sayed on accordion, Hany Bedair and Mizo on percussion, Muhammad Ra’fat on drums, Nader El Shaer on kawala, Amin Shahine on arghoul, Seka on electric bass, Mohamed Adel on electric guitar, and Shady Nagy and Mounir Maher on acoustic guitars. The producer Miles Jay is also featured on double bass, lyra and bouzoki. The record was mixed in Oslo by Martin Abrahamsen. KKV has made it an important aim to support artists from the Middle East in developing their careers and receives funding to support this from the Ministry of Foreign Affairs. With Dina El Wedidi, KKV is thus extending this important work to Egypt.